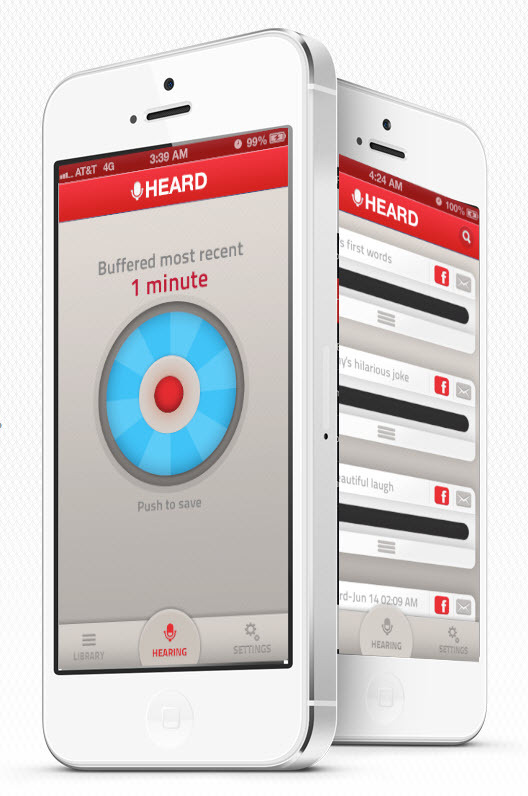 “Heard” is a free iPhone/iPod/iPad app that continuously records anything you can hear. But instead of one long file, it fills the buffer and then clears it for more recording. Only when you hit “save” does the recording move into storage. This could be good for recording something funny your child said, or something memorable from your beloved, or something incriminating. 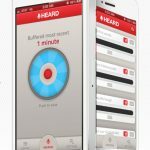 The free version continually records the last 12 seconds. If you want 30 seconds, one minute or five minutes, there’s a $2 version.